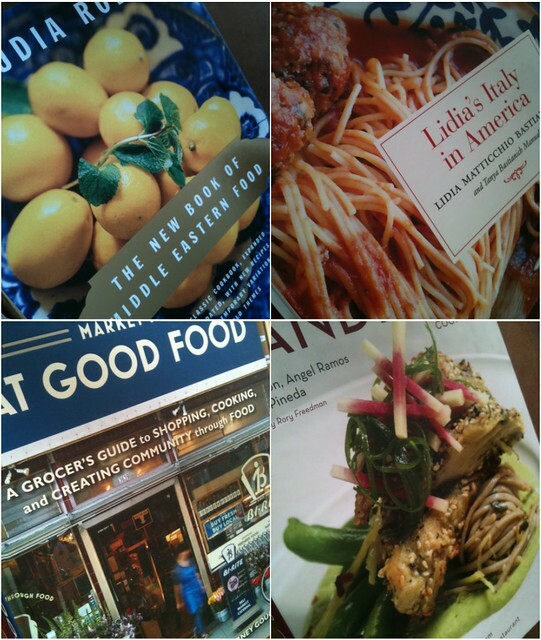 My cup runneth over when it comes to Cookbooks. Some of you have seen my cookbook cabinet - it is insane. I must clean it out in 2012 and get rid of what I am not using (maybe I will post the giveaways and share them with you all - good idea?). 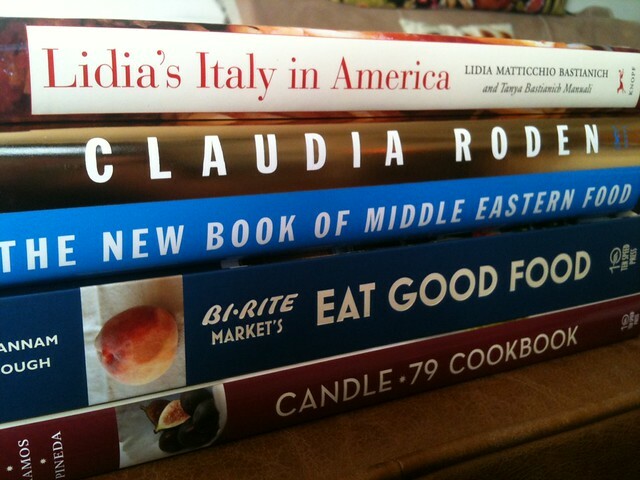 Can one really have too many cookbooks though? In my mind, the answer is a resounding NO. I guess as long as I am still making things out of them, I can keep them. I got the following books for Christmas this year. I am so excited to read them all and I will take them in word for word like novels, slowly pouring over every recipe, going through all the prep in my mind and imagining the finished product and how it tastes. Looks like I have my reading cut out for me. Time to get out the tape flags so I can mark what I want to make. So true! Cookbooks are beauty in so many ways....from awesome food photography, to simple stories of sharing and gathering with friends and family...and of course, the delight of smart cooking and baking. I cleaned mine out about 6 months ago. It's worth it. And someone will always get great use out of the ones you don't feel compelled to have any longer. I got a new one this morning from my mom!! YAY!